We love our trash to the apocalypse. Let me illustrate why. 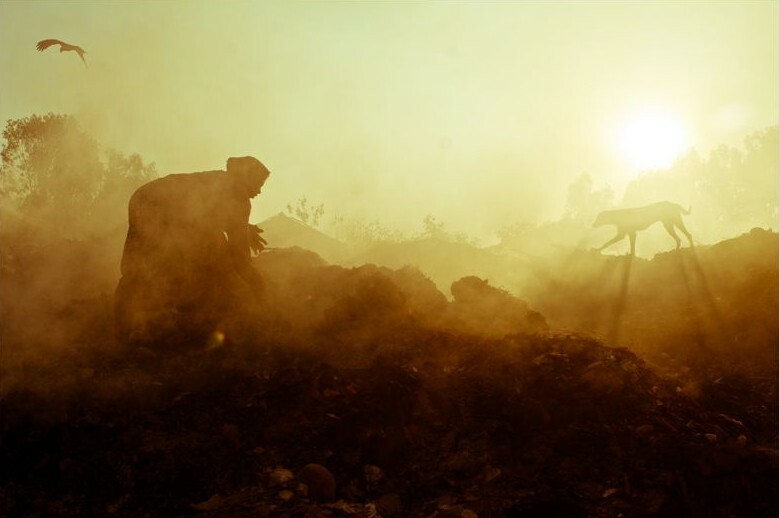 “The Position Paper on The Solid Waste Management Sector in India – 2009”, a study conducted by the Ministry of Finance, has this to say: India will need more than 1,400 square kilometer of land to dump its unprocessed garbage. In other words, we will have drowned all of Mumbai, Chennai and Hyderabad in garbage. No, it will not take ages for this to happen. Just a little over 30 years, that’s all. That’s the speed at which we are trashing this earth. India is generating about 1,15,000 MT of municipal solid waste every day. The culprits have been, are and will be highly urbanised cities which will bloat with 3-3.5 per cent of population growth each year. This will mean a 5 per cent annual increase in the overall quantities of solid waste generated and dumped. This would mean, again, India’s large cities will continue to put out nearly 3/4th of the total waste generated. In a nutshell, by 2047, an estimated 260 million tonnes of waste will reach the landfills—enough to drown the three major cities mentioned above in stinking garbage. Source: Department of Economic Affairs, Ministry of Finance, Government of India. How did we come to this? There are two ways to look at this: either we blame it on the ill-equipped urban local bodies for failing to find sustainable solutions, or face the crisis head-on. If you opt for the former, then you can take refuge in the bureaucratic apathy and continue to live in self-denial. If you are willing to reason it out, then the truth is in the numbers: we are processing only 9 per cent of the waste we generate scientifically. The rest, 91 per cent, is dumped openly and illegally in landfills (Source: Central Pollution Control Board). Historically, our dependence on landfills has been so deep that we continue to look for new sites even though there simply is no more land to fill. That’s why I said, “We love our trash to the apocalypse”. We love it so much that we will willingly give up 1,400 sqkms of space to landfilling. We will disappear. The civilisation which we thought was more than a veneer will also disintegrate. The only thing that will endure in the gray light above this earth smothered with rubbish will be these mountains of souvenirs. We will remain heedless about the depths of misery lying below it. Suddenly, all the tales about apocalypse do not sound absurd, do they? Is there a way out? There is, always. It took each one of us to create a situation of this magnitude. It will take each one of us to find a solution at both individual and collective levels. That’s the only good thing about garbage: the problem can be nixed exactly where it begins. This entry was posted in Endlessly Green and tagged landfills, Solid waste management. Bookmark the permalink. Where can I get WORMS in Bangalore? Am starting Vermicompost unit in a colony of over 5oo residential units.